Play with the Geo CS1! Sit in on the teardown and tech demo! Special Incentives for attendees who preorder the CS1! Play the fields with a CS1! GI Sportz 3 Star and 4 Star available for purchase on site. He was a scrawny kid, maybe 80 pounds with a mop of tightly curled hair on his head. His physical size was a fraction of his personality. He was quite loud, with a squeaky yet raspy voice. He was also a bit boastful and cocky, but utterly likable. And on the day I opened The Paintball Sphere for business, he handed me a five dollar bill, my first sale ever. That was July 12th, 1999. Billy brought his friend Chris in that day. Shortly after Matthew, then Justin Pancake came in. Both are friends of the store and my family to this day. All of these young men spread the word and business grew immediately. In years I’ve see hundreds of faces and probably filled thousands of tanks. I sold millions of paintballs and repaired more paintball markers than most people have ever even seen. But change is inevitable. After this Saturday, July 25th, 2015, The Paintball Sphere will cease operations from 7271 West Blvd. To use a military term, our present situation has become untenable. With the continuing decline in regular and consistent sales at our leased location, plus massive changes within the industry, our way of doing business has now become impossible. Does this mean that The Paintball Sphere is out of business? Not hardly. Remember, like many of you, paintball makes me laugh and cry, bleed and cheer, and even sometimes vomit. Besides my wife, it is the thing I have had the longest in my life (to be fair, I met her about a year after I started playing). I will pass it on to my sons when they are of age. We are evolving. For local service, Dimension Paintball has graciously offered us a place in the sun at the field. We will be there at times and will help to support Chris and his growing field. The website and email addresses will remain the same. Drop us a line for anything you may need. Most importantly, our service and support WILL NOT change. 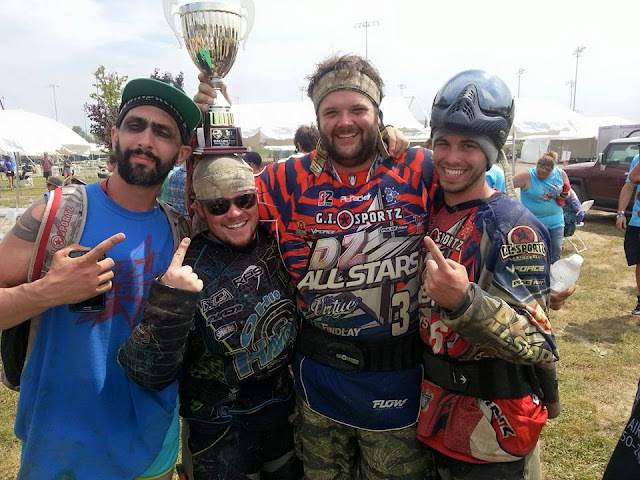 We are there to help paintball succeed, even if in the end, this part of our endeavor didn’t. We are The Paintball Sphere. That is one thing that will not change. Thank you all, it has been one hell of a ride. Ohio Keeps it at home! Forget about that other Cleveland team that may or may not bring home a championship and look here! 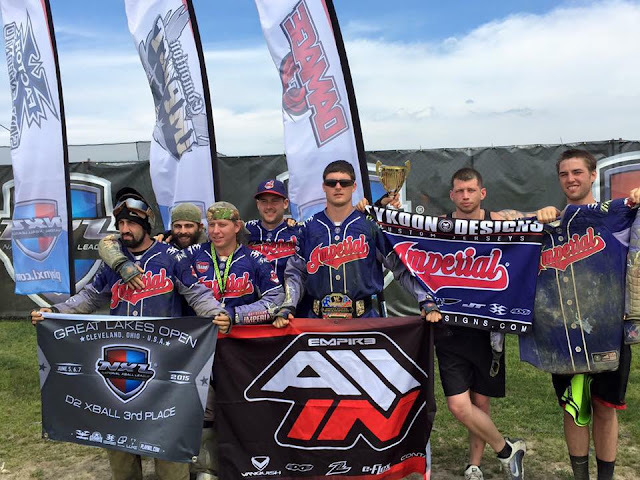 Over the weekend, Ohio teams did their home state proud and brought home the hardware at the inaugural NXL event in Cleveland. Cleveland Imperial, an Empire All In team through The Paintball Sphere, took 3rd in the ever brutal and demanding Division II X-Ball. Well done guys, you looked good doing it. In Division III, the DZ Allstars, a Paintball Sphere and Planet Eclipse team WON the event convincingly, posting a shutout in their final match against a tough Competitive Edge team, 4-0. Many an Allstar Geo 3.5, tuned by The Paintball Sphere, performed like the champions that held them. It was obvious to all who were watching that this team earned every point they won and stood atop the pile as the clear champions. Congratulations boys, you did Northeast Ohio proud. Two claps and a woo! indeed. DZ Allstars, from l to r: strange, small, big, hipster. These brand new killers are in stock now! MAP $500. If you want a brand new, high performance marker for not a ton of money, this is it! The Drone 2 is moving fast, come to The Paintball Sphere and get one while you can! We have the Rotor R2 NOW! The R2 is here and ready for sale at The Paintball Sphere. Black in stock now, colors to follow soon. Some great changes have been made to what is arguably the finest hopper ever made, plus you can shift from a true 200 round capacity to 260 on the go! Come and get one! As the weather improves, we expect another change in hours. 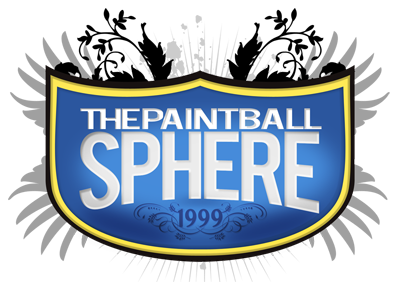 As always, we can be reached at 330-965-9099 during regular business hours or anytime at npatterson@thepaintballsphere.com.